/ Modified jan 15, 2019 9:12 a.m.
"Searching for Certainty" is the theme for 14th annual showcase. 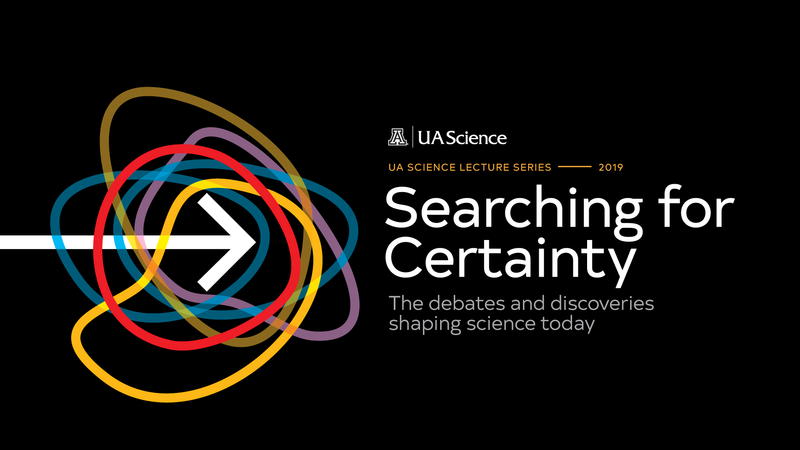 The 2019 UA Science Lecture Series, Searching for Certainty, explores the debates and discoveries, from scientists across disciplines, that are shaping science today. Science gets the spotlight for the next six weeks at the University of Arizona. The UA College of Science will host its annual lecture series featuring UA professors representing the fields of physics, astronomy, geoscience and others. College of Science Dean Joaquin Ruiz says the theme of this year's series is "Searching for Certainty," and its aim is to bring scientific topics into focus for the general public. "Searching for Certainty is an attempt to try to explain to the public how the scientific method applies to some of the grand challenge questions we have upon us now," said Ruiz. "We're going to try to explain a bit of interesting science and show how scientists go about dealing with facts." Ruiz also says the series is a chance to clear up misunderstandings people have about science-related issues like climate change. The college is making the lectures available online, and each event will be livestreamed by Arizona Public Media.